When the Sudden Departure happens, there is seemingly no rhyme or reason. Some families lose one member, others are nearly wiped out, only the mother left, with her husband and children gone while she is in the kitchen. This is not the Biblical Rapture. Many of the pious, the true believers, remain, while adulterers, gamblers, and generally terrible people are among the missing. How, now, can a town – and the whole world – recover from such a loss? Perrotta has put together a really interesting novel of grief, loss, and rebuilding. People have so many different methods of coping, from obsessively biking, to all but dropping out of high school, to becoming the mayor in an attempt to ‘fix’ the town, to joining cults that promote chain-smoking or have charismatic leaders that take under-age girls as spiritual wives. It could have easily been a big mess trying to tell all of these stories, but Perrotta did a great job of tying them together within a single family, and the people with which they were connected. Unfortunately, I found most of the characters rather difficult to relate to. They were not unlikeable per se, but there was no point of connection. This being said, I think it had more to do with the narrator than the story. Boutsikaris did not show much skill in giving voice to the female characters who comprised at least half of the story. Even when speaking for the male characters, he seemed more appropriate for a crime novel than the emotionally difficult situation Perrotta created. He is a competent narrator, but he didn’t seem to complement The Leftovers as well as one might hope. A fascinating plot, but part of me wishes I’d tackled it in print, instead of audio. You’re right about the narrator of the audio version of a book making all the difference. For me it’s tough to get beyond the voice — a good one can elevate an mediocre book, and an inadequate one can bring down even the best. It’s a shame this one didn’t work for you. Will read this one in print. Thanks! I’ve been on the fence about this one. It’s good to know that it would likely be better in print. Hello Jen … I just discovered your audiobooks-Friday!! 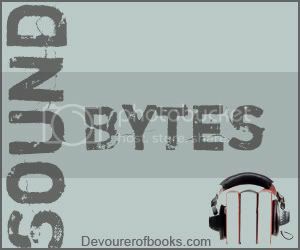 Since I only post audiobook reviews on my blog, Fridays aren’t exclusively devoted to them. So, I’m linking all my listening in September so far. Thanks for all you do to support audiobooks. Re: Tom Perrotta … I listened to The Abstinence Teacher a few months ago and really enjoyed it!! Different narrator … as always, the reader is so important! Oh, I’m so glad you’ve discovered Sound Bytes, and I do hope you’ll continue linking up all your reviews of a given week! 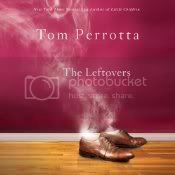 I’ve been wanting to read Tom Perrotta! If I start with The Leftovers, it will definitely be in print. I am very excited to read this one, along with some of Perrotta’s other books! Thus far, I have only read The Abstinence Teacher. I have been on the fence over this title. I did enjoy Little Children in a creepy sort of way… but this storyline doesn’t peak my interest. I was thinking about listening to it and will now pass. How fun! I linked up my review (coincidentally posted on Friday), and edited my post to point my readers over here. Nancy reviewed The Leftovers audio earlier this month. I’m actually not familiar with this book but bummer the narrator didn’t do a great job. Print it is, then! I find it so interesting how certain novels do not work well via the audiobook format and others are all but created for it. THE LANTERN comes to mind. I just wrote my review for the print version, which will go live this week, and I really do think I would have enjoyed it more had I listened to it rather than read it. I wonder if there is a universal rule of thumb as to which novels will work best in which format.